Pakistan, since its independence in 1947, had to face tumultuous years for the first four decades. Despite the many challenges, both internal and external, the country was able to register a 6 per cent average annual growth rate during the first forty years of its existence. The country was ahead of India and Bangladesh in all economic and social indicators. Since 1990, the country has fallen behind its neighbouring countries and has had a decline in the growth rate. 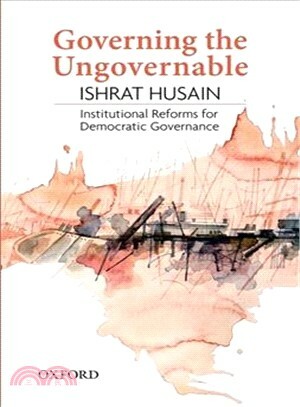 This book attempts to examine the reasons behind this slowdown, the volatile and inequitable growth of the last twenty-five years, and through a process of theoretical and empirical evidence argues that the most powerful explanatory hypothesis lies in the decay of institutions of governance. It also suggests a selective and incremental approach of restructuring some key public institutions that pertain to accountability, transparency, security, economic growth, and equity. Dr Ishrat Husain is a former governor of the State Bank of Pakistan and served as Dean and Director of the IBA (Institute of Business Administration) (2008-16). He had a distinguished career at the World Bank for two decades (1979-99), and was a member of Mahathir Commission that developed Vision 2020 for the IDB. Husain is currently a member of the Middle East Advisory Group of the IMF; member, President Advisory Council of the IDB; Convener, Economic Advisory Council, Ministry of Finance; and Member, Advisory Council to the Minister for Planning, Development, and Reforms. A graduate of the Executive Development Program-jointly sponsored by Harvard, Stanford, and INSEAD-Husain was also Chairman, World Economic Forum Global Advisory Council on Pakistan (2014). Dr Husain has been conferred the Hilal-e-Imtiaz award (2003) and the highest civilian award, the Nishan-e-Pakistan (2016).